MSV: 'Let the People Decide' on vote buying in Hoboken! 'Let the People Decide' on vote buying in Hoboken! The 2013 Hoboken election is the target of an FBI investigation for alleged massive vote buying that became public with an arrest of an Old Guard foot soldier last week. The question on many lips, "when will the next shoe drop?" The arrest ends mocking chatter into this year about the lack of any voter fraud arrest in Hoboken with the alleged illicit practice first uncovered by MSV back in 2010. That election saw an investigation find its way to the NJ Attorney General's Office but it quietly ended leaving many scratching their heads. The scandal of vote buying in Hoboken became more rancid and epidemic after the 2010 voter fraud went unpunished. After the media publicity continued to expand beyond this website's reports, tactics altered to disguise and launder the alleged vote-buying operations typically in the fourth ward and senior buildings. In the 2013 race, a two-fold pattern emerged. Some voters were being promised they would be paid for their votes only to be angered by a lack of payment as another campaign would see their "campaign worker" names listed far after the election with exact payments listed well into 2014. 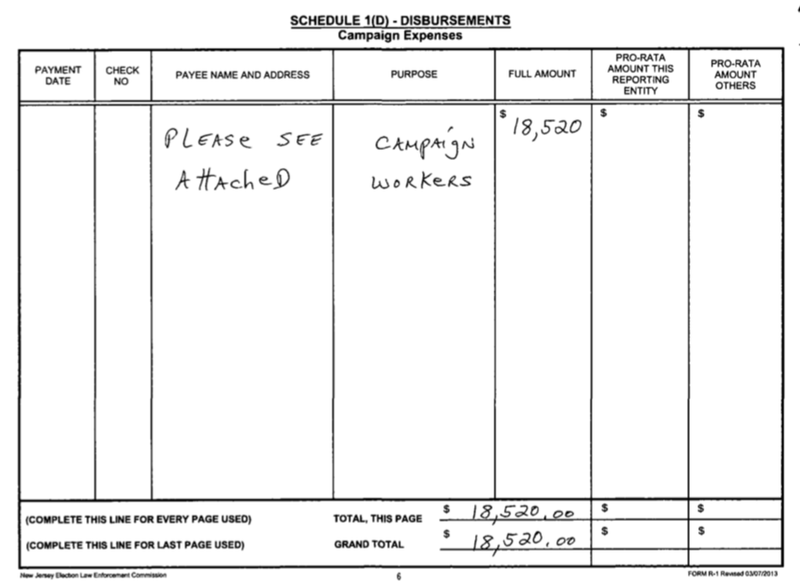 Over $18,000 was reportedly spent by the 2013 "Let the People Decide" political committee for "campaign workers." 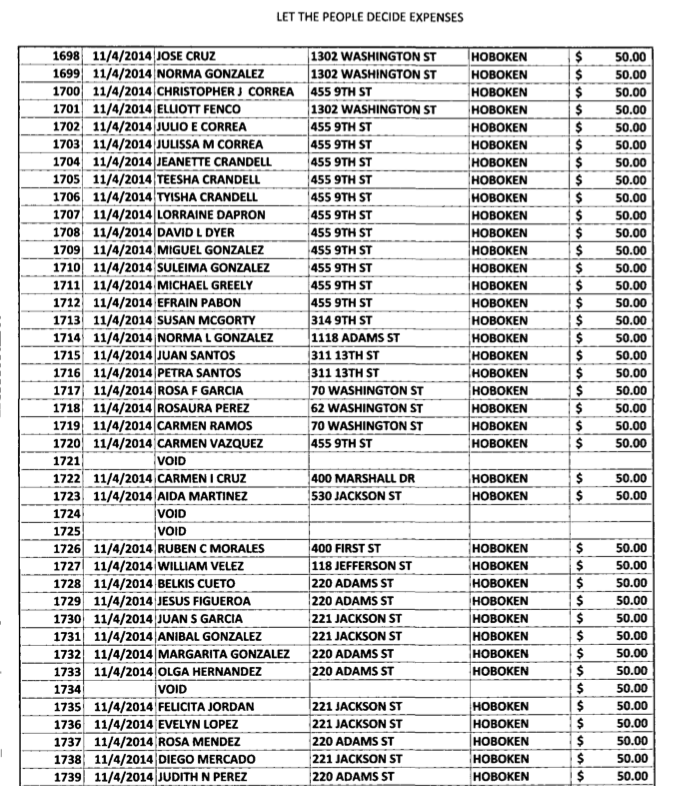 That NJ ELEC campaign report featuring eight pages of names almost invariably receiving $50 per person for their alleged campaign work but wasn't filed for more than a full year after Hoboken's 2013 election. A sample of alleged "campaign workers" paid by the "Let the People Decide" political comittee in 2013. The rest of this exclusive story is MSV Premium and will be sent to members by Tuesday. Hoboken Proud 1-2-3 Kick Off Event Tonight!